The most common question I always get asked when I tell someone we are homeschooling is "what about socialization". 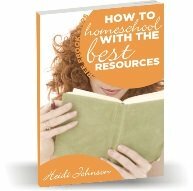 My Comment: Yes, that is definitely the most common question that homeschool parents get asked. Here's an article I wrote about how to find opportunities for socialization, although we all know that they get plenty of socialization without even trying.